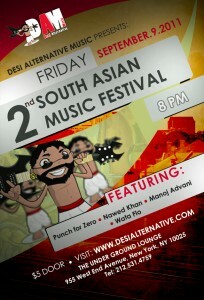 I would like to invite you to Desi Alternative’s South Asian Music Festival. See below for more information. So lets come out support these artists and make history! 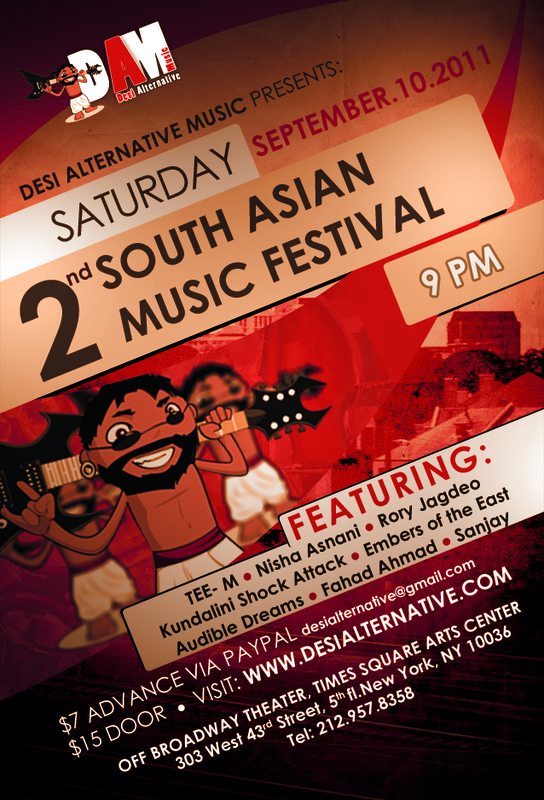 The 2nd South Asian Music Festival hosted by Desi Alternative Music (DAM) will be held over two nights of scintillating live music in pulsating New York City from September 9/9 and 9/10, 2011. The festival will feature talented bands and solo artists who will showcase their original materials ranging from rock, pop, hip hop, jazz and classical music. 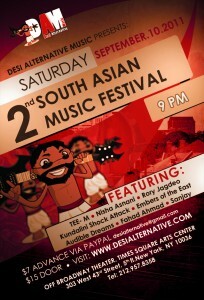 Nawed Khan is performing at 1st concert on 9th September with his original songs. For the first time you will hear his original songs in his own voice. 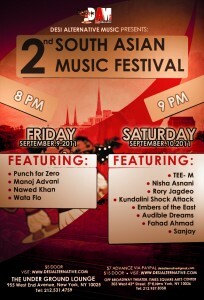 Nawed Khan is also performing (on Keyboards) at the 2nd concert on 10th September with Embers of the East. 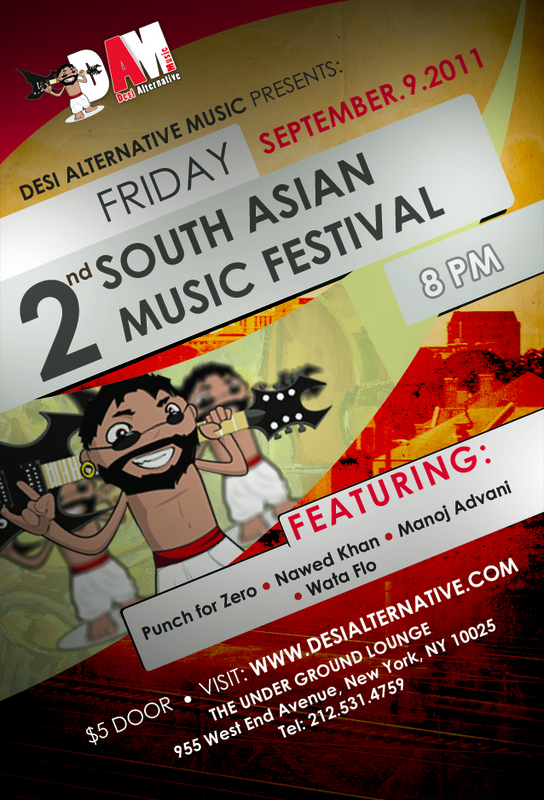 Featuring: Amit Gulati, Manoj Advani, Nawed Khan, Wata Flo and Waseh Khan.